Yet another gate with a plethora of names - Puerta Nueva, Puerta de Nuestra Señora del Rosario, Puerta del Rosario, Puerta de Campo, Puerta de África, Southport Gate - and finally, Southport Gates in plural. 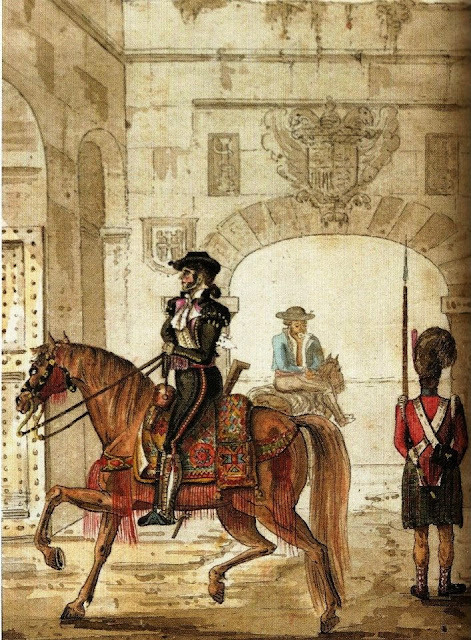 La Puerta Nueva, as the name suggests, was a relatively new addition. 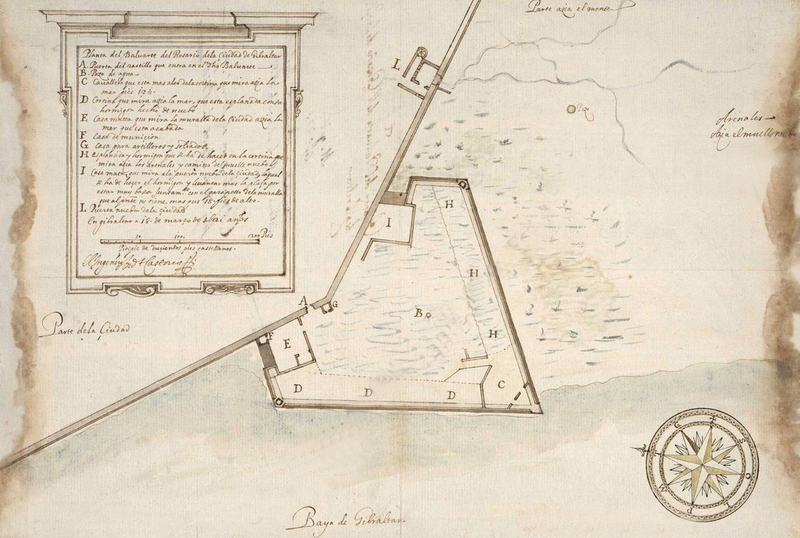 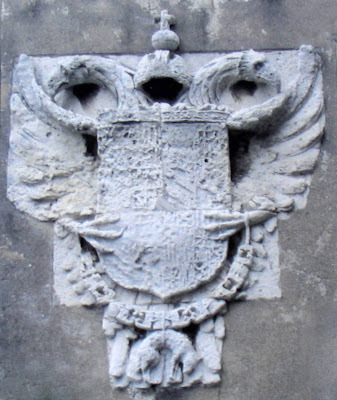 Records show that prior to 1540 1 there was no wall defending the town from attack from the South. 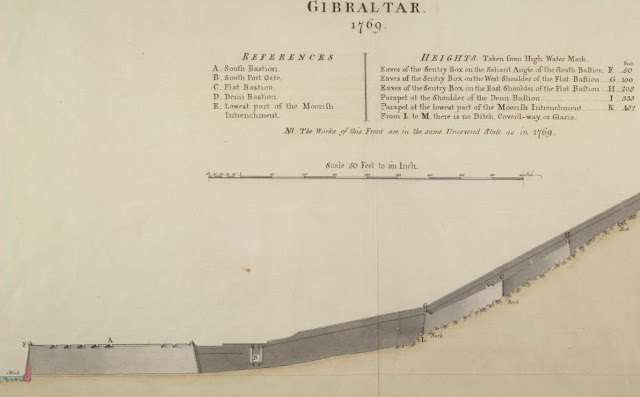 One reason for this rather glaring omission might have been Abu l Hasan's 14th century line wall extending from La Puerta del Mar right round the western coast to Europa Point and beyond. It was probably thought of at the time as sufficient deterrent against invasion. 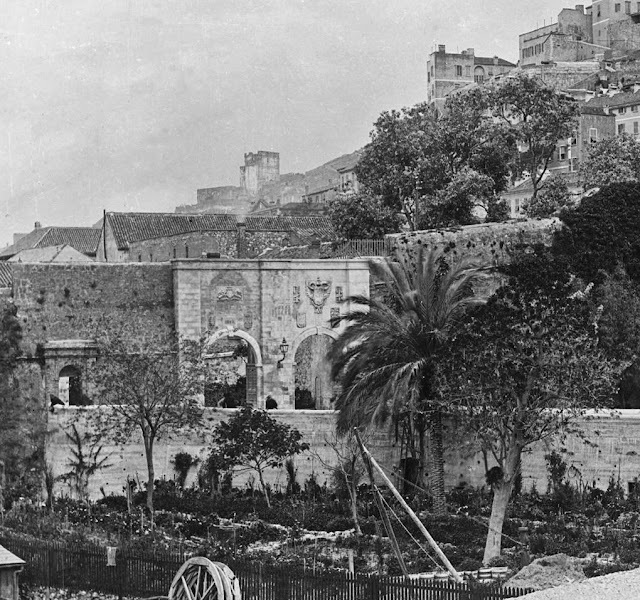 It is also possible that the defence of the town in the Turba area - which lay outside la Barcina ( see LINK ) and Villa Vieja both of which were walled - may not have been considered as crucial to the survival of whoever was occupying the Moorish Castle at the time. 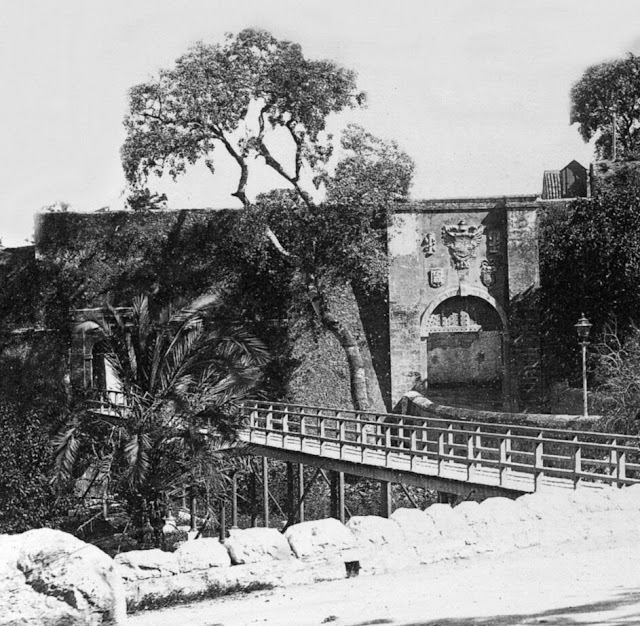 The official name of the gate is difficult to determine. 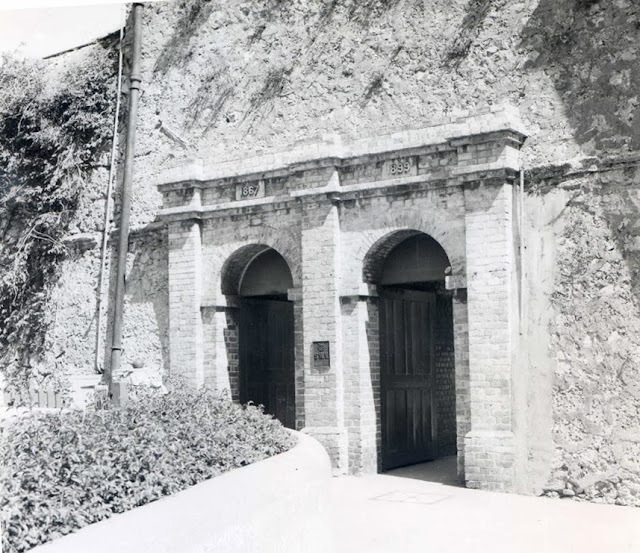 In Portillo's day - well over a century after its construction - it was still considered quite a novelty and was known as la Puerta Nueva - or even better, Puerta Nueba. 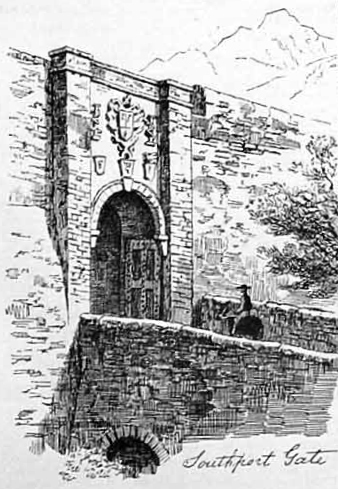 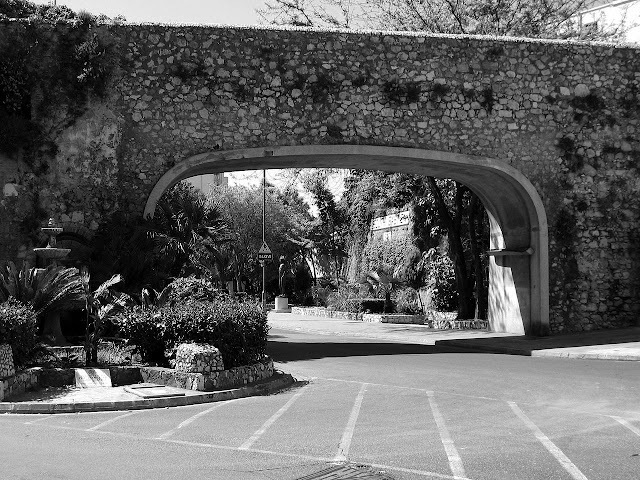 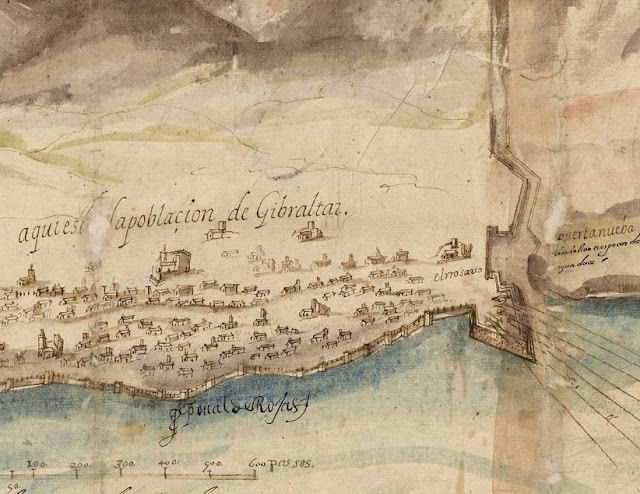 Perhaps the more pedantic would have felt that the rather long winded Puerta de Nuestra Señora del Rosario was more appropriate as the gate stood very close to the Bastion at the end of Charles V Wall bearing the same name. Another rather more rustic attempt was Puerta de Campo although none of these versions appear to have been very long lasting as they can only be found on very few maps. 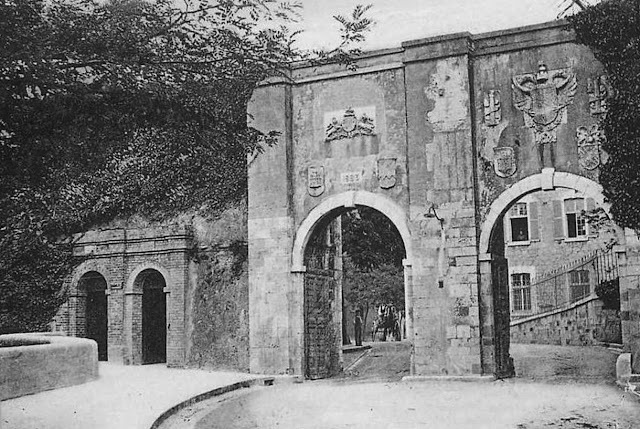 Yet another gate was built in 1967 just beside and to the west of the other two. It was named the Referendum Gate to commemorate the first referendum which took place that same year in which Gibraltarians voted overwhelmingly in favour of remaining British. In line with the local penchant for having more than one name for any of its gates it also has an alternative title - Referendum Arch. After it was built, the western section of the ditch - known in the 19th and early 20th century as the Sunken Garden - was partially filled in.